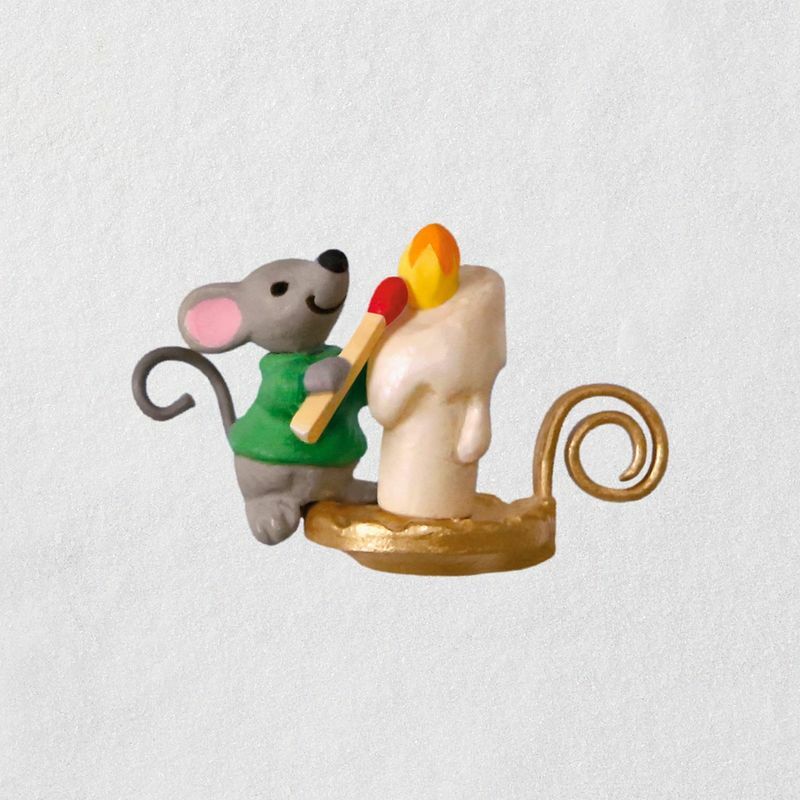 The 4th addition to the A Creature Was Stirring series, this ornament features a cute little mouse lighting a candle with a match as big as he is. 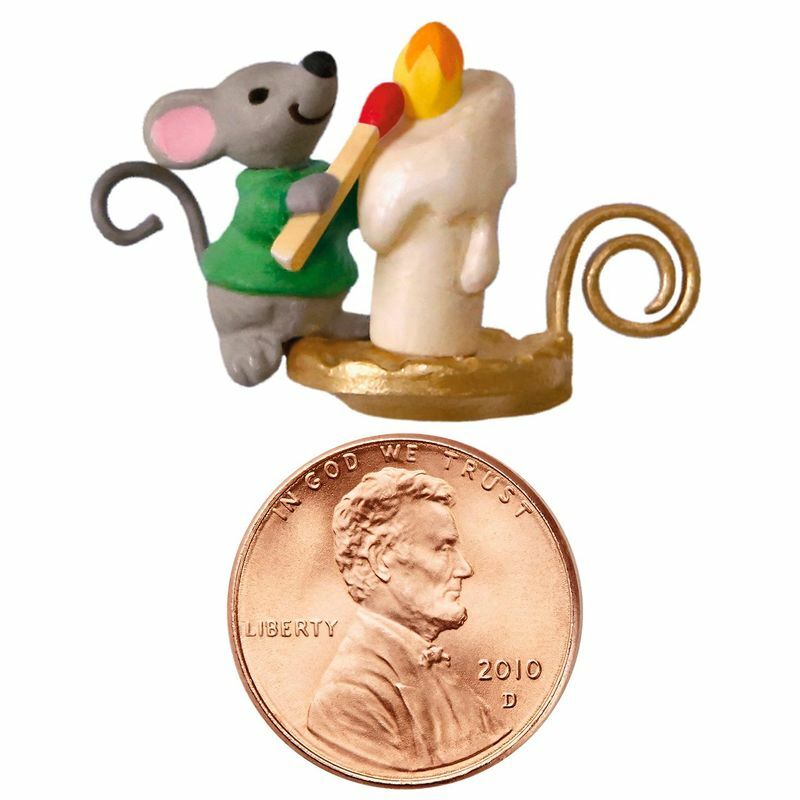 This miniature piece makes a sweet addition to your Christmas tree ornament collection. Inspired by the Christmas classic '"Twas the Night Before Christmas." Collect all 6 to complete the series. 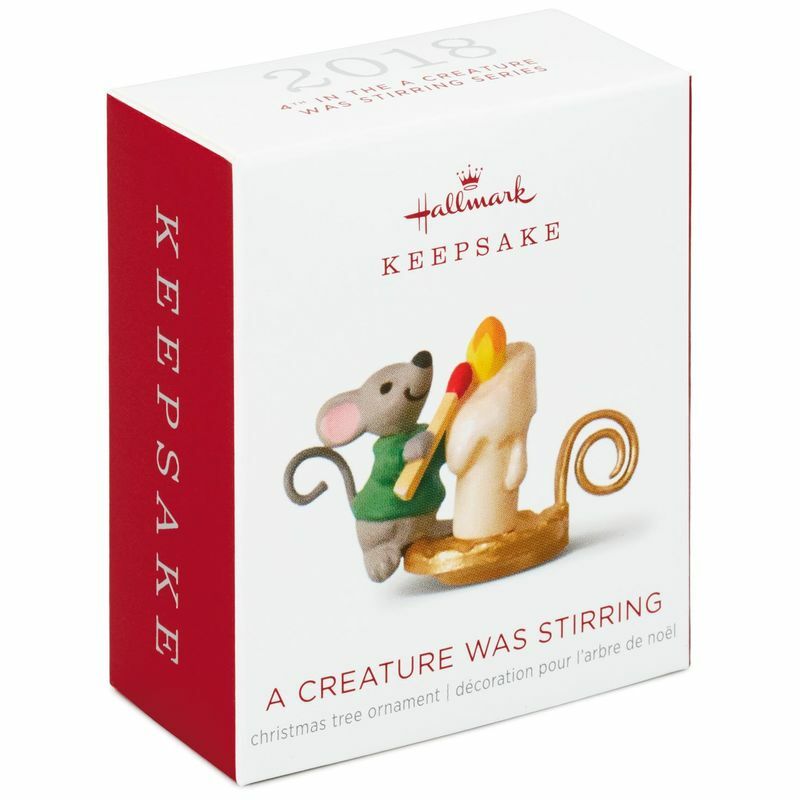 Miniature Christmas tree ornament measures 1.28" W x 0.83" H x 0.67" D.
Miniature Christmas tree ornament is 4th in the A Creature Was Stirring collector's series. 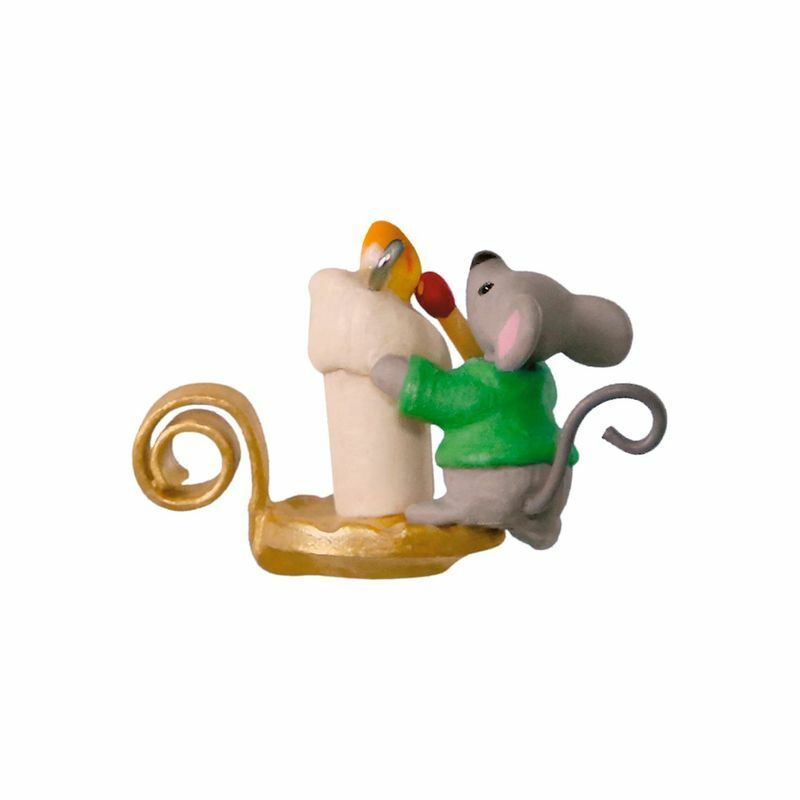 Perfect little guy to add to all the other Hallmark Christmas Mice display pieces everyone loves to play with over the holidays.